Any product that serves the public good deserves recognition and gratitude. Please help us to honor exemplary products or services by nominating them for one of three awards. Nominations can be updated and re-submitted. The deadline for nominations is December 31, 2014. 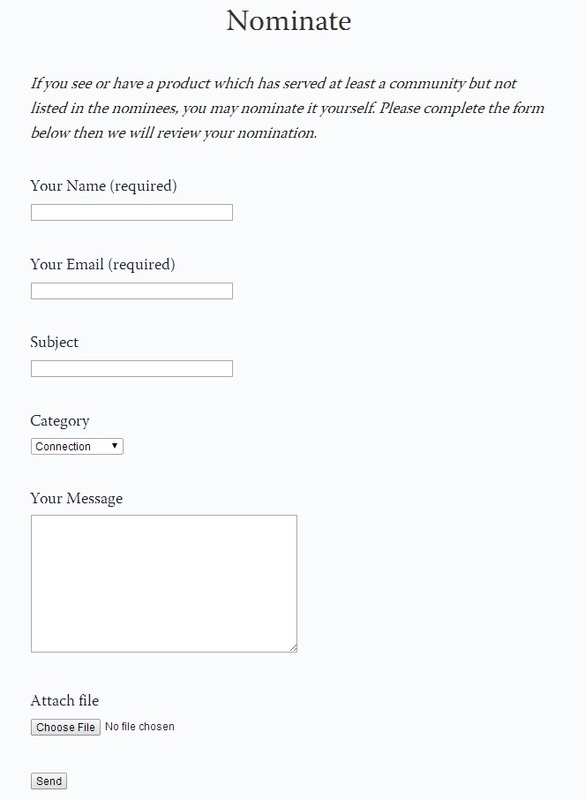 Complete the nomination form in our website and submit it with all of the supporting materials. In order to help inform the public and the selection committee of your nominee’s impact, we recommend submitting a brief 100 – 200 word summary of the product/service along with the nomination forms.